A small number of Canadians today will now get to experience the joy of true 4G. Rogers has now gone live with Canada's first LTE network in the Ottawa area and much like the launch of LTE for Verizon, they started off their device offerings not with a handset but rather a LTE Rocketstick from Sierra Wireless. No worries though, Rogers has stated LTE devices are coming from both HTC and Samsung later this year. In other words, Android devices will be among the first LTE enabled smartphones to hit the Rogers network. Full press release is after the break. OTTAWA, July 7, 2011 /CNW/ - Rogers Communications Inc. announced today the commercial launch of Canada's first Long Term Evolution (LTE) network, bringing the latest global wireless technology to the Ottawa region. Rogers also announced that network rollout to Toronto, Vancouver and Montreal will occur this fall, and that LTE-enabled smartphones from Samsung and HTC will be available later this year. "Rogers' customers will be among the first in the world to experience this superior technology," said Rob Bruce, President, Communications, of Rogers Communications. "This network will power the next generation of innovative products and services in ways we've never seen before. And it will be the backbone of Canada's digital economy as we continue to move from a wired to a wireless world. We're thrilled to welcome Ottawa - and Canada - to the future of fast." The launch of LTE reinforces Rogers proud history of innovative firsts and commitment to investing to build Canada's digital future. Rogers was the first Canadian carrier to announce technical trials last fall, followed by the commitment to a multiyear deployment beginning this year. 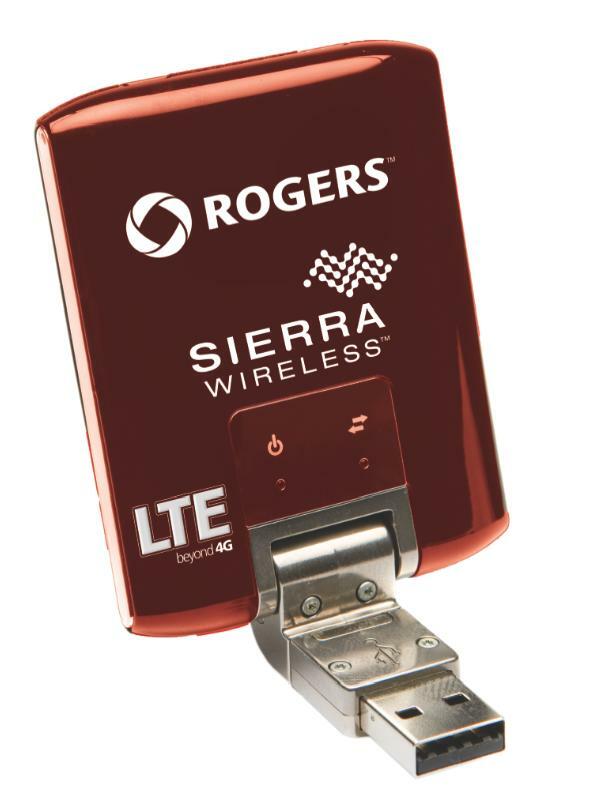 Rogers recently launched the Rogers Reservation System, which allows customers the opportunity to reserve the first LTE-enabled device, the Rogers LTE Rocket stick, from Vancouver-based Sierra Wireless. Starting today, Ottawa customers can pick up LTE Rocket sticks from four Ottawa-area Rogers retail locations. "Ottawa is proud to play a significant role in Canada's first LTE network, from the trials through to the launch today. This new technology is a significant step forward towards increasing the accessibility and enjoyment of high speed applications while enhancing the productivity and reliability of mobile communications for Ottawans" said Steve Desroches, Deputy Mayor of Ottawa. Rogers is a diversified public Canadian communications and media company. We are Canada's largest provider of wireless voice and data communications services and one of Canada's leading providers of cable television, high-speed Internet and telephony services. Through Rogers Media we are engaged in radio and television broadcasting, televised shopping, magazines and trade publications, and sports entertainment. We are publicly traded on the Toronto Stock Exchange (TSX: RCI.A and RCI.B) and on the New York Stock Exchange (NYSE: RCI). For further information about the Rogers group of companies, please visit www.rogers.com.